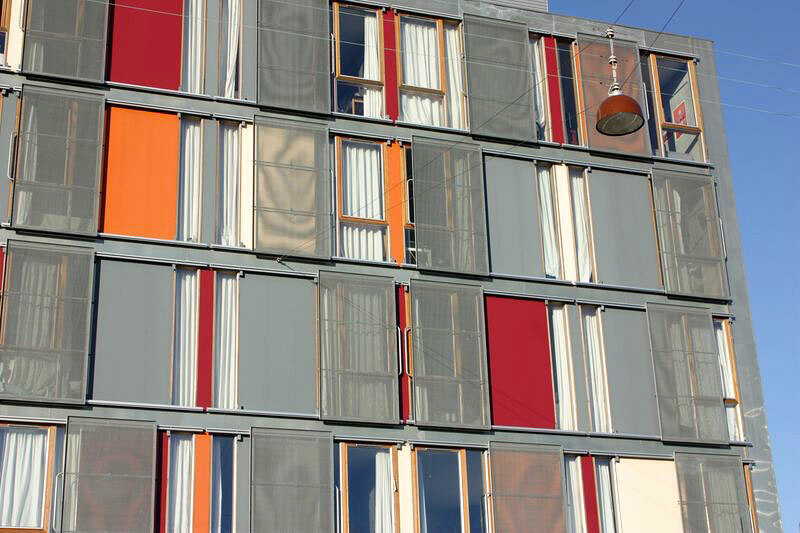 The award-winning College for the Industry in Nørrebro was designed by the architects Lundgaard & Tranberg. 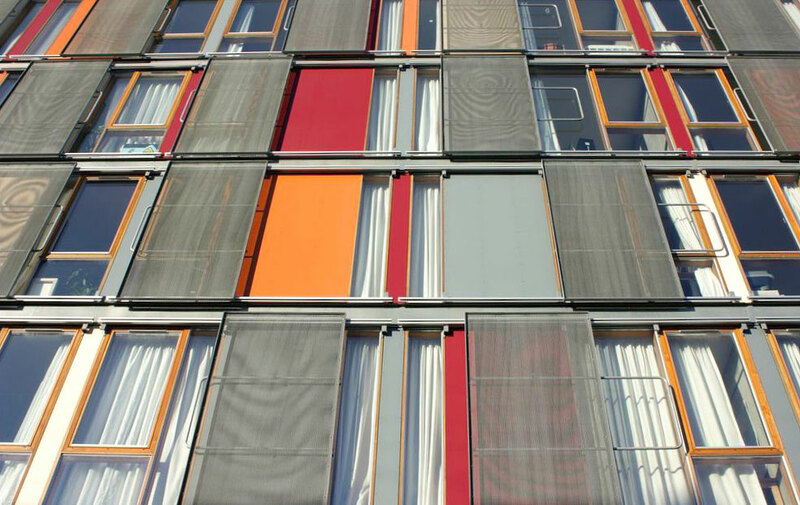 Art Andersen contributed with solar shading for the building: 95 façade mounted shutter frames with perforated expanded metal panels. 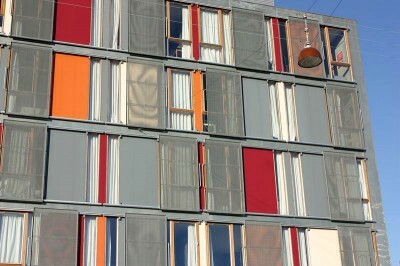 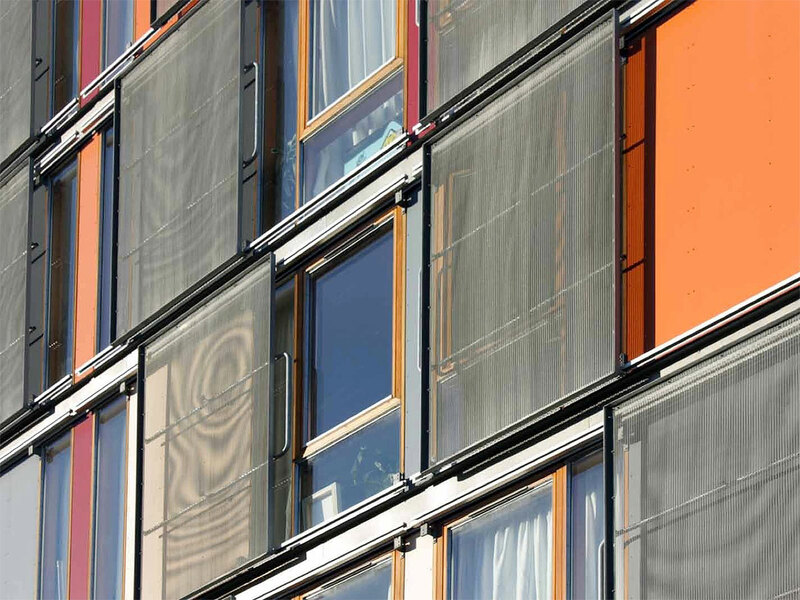 The shutter frames are operated manually from inside by the residents of the college, and the shutters screen against the sun and give privacy. At the same time the dynamic shutter frames create a living façade.